If you are like me and you like making your reports look extra good with different visual elements you’ve probably come across the issue before where you use shapes or images layered behind a visual. What you have quickly discovered is that an end user can mistakenly click on that background layer and the entire object pops from the background to the foreground. In this quick tutorial, we’ll show you how to STOP this from happening! We learned the technique through a webinar given by Miguel Myers and wanted to make sure we spread the word because it will have a huge impact on how we can build reports! 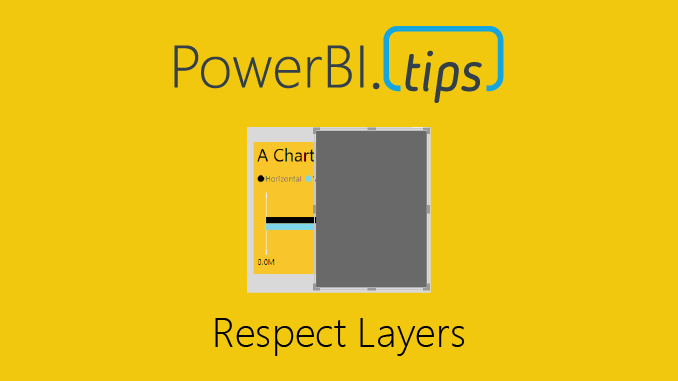 If you like content from PowerBI.Tips please follow me on all the social outlets to stay up to date on all the latest features and free tutorials. Subscribe to us on YouTube. Or follow me on the social channels, Twitter and catch up with me on LinkedIn where I will post all the announcements for new tutorials and content.